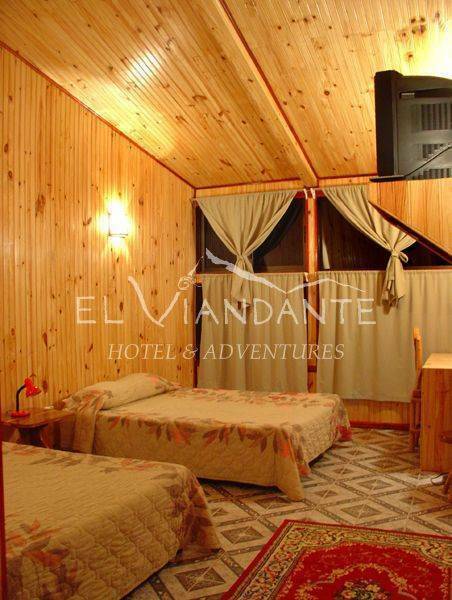 Renzo & Grace take pride in knowing their guests are comfortable and feel welcome and at home at El Viandante. Whether it is a restaurant recommendation, a neat hiking spot, or driving direction, Renzo & Grace keep their guests well informed, so they can get the most out of their already limited vacation. 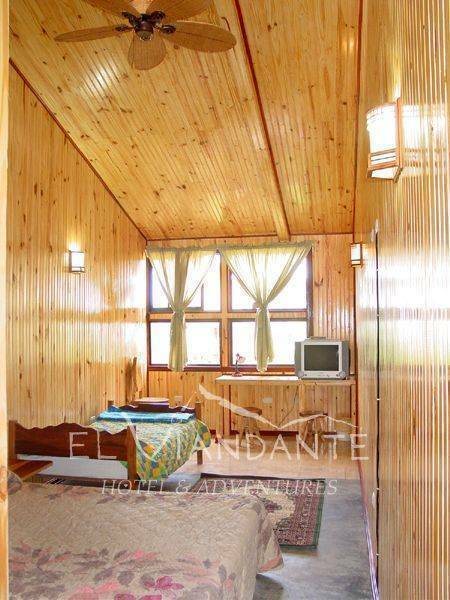 Clean, cheerful, and comfortable: The rooms are simple with a touch of rustic feel to it - like a modern wood cabin. 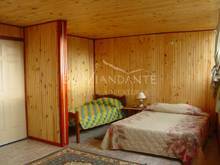 All rooms are renovated with pinewood interior, screened windows, ceramic tiled bathroom, some rooms with high vaulted ceiling. 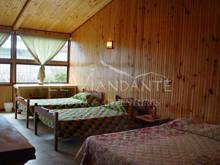 El Viandante is 7 minutes walk from Santa Elena town center, just off the main road to Monteverde Reserve. The hotel sits facing a four star hotel's garden across the road, while friendly local residences surround the other sides. Reservation preferred by fax, e-mail, or you can simply go to Contact Us. To guarantee the reservation, we will need your valid credit card information. Group reservation (5 rooms or more) please pay the full balance 15 days prior to your arrival. All reservation and cancellation must be notified and confirmed by both parties via fax or e-mail. Low Season Cancellation made 7 days prior on the arrival date - no charge. Cancellation made with in 2 days prior on the arrival date - the amount of your first night stay will be charged. Cancellation made the last day or no show - the full amount of your reservation will be charged. Peak / High Season Cancellation made 15 days prior on the arrival date - no charge. Cancellation made with in 7-14 days prior on the arrival date - the amount of your first night stay will be charged. Cancellation made with in the last 7 days or no show - the full amount of your reservation will be charged. The Rate or Reservation / Cancellation Policies may change at any time without advance notice. Leave SJO airport get onto Highway towards North West / Puntarenas. Pan American Highway reaches town Sardinal (a large gas station on right corner). Turn RIGHT. p. s. This will be the last major gas station available around Monteverde. The next one will be half way from Monteverde to La Fortuna. Arrive a small town with soccer field on left T section, turn LEFT there. You will pass a couple small bridges, following the only dirt road along hillside. When you start to see more houses on the road, you will soon pass Los Llanos Primary School on your left. Continue ahead. In 10 minutes you will pass World of Insects on left side. Pass Ranario (Frog Pond) and Hotel Poco Poco on right side. Make RIGHT at STOP sign. Make LEFT up the first dirt hill (right before Café Kari Restaurant). Immediately turn RIGHT onto the first road. LEFT turn on T section, continue up the hill. 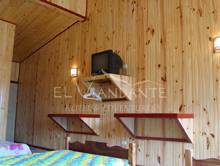 After passing about 3 small houses, Hotel El Viandante will be on your left hand side. Public Bus (2200 colones/5 hrs each way from San Jose) Go to Monteverde-Santa Elena. 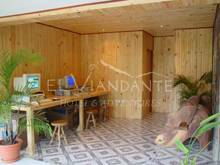 Get off at bus station in Santa Elena town center, take a taxi to El Viandante (800 colones).